Commercial Nanofiltration System with 165 gallon Holding tank and repressurization system. 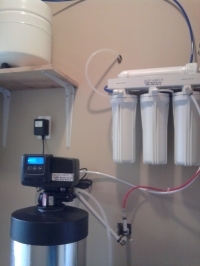 Compact and convenient,this system produces the highest quality water that can be used for tea, coffee, juice, soup,washing vegetables...and best of all your plants and dogs will love it! 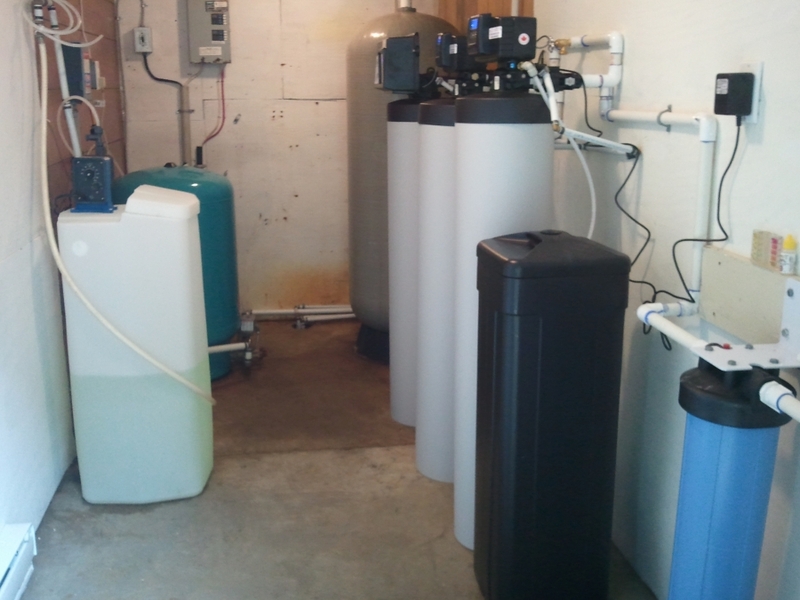 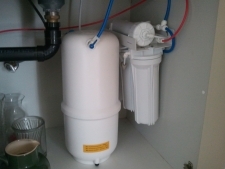 Whole house install consisting of Water Softener and Reverse Osmosis Drinking Water System. 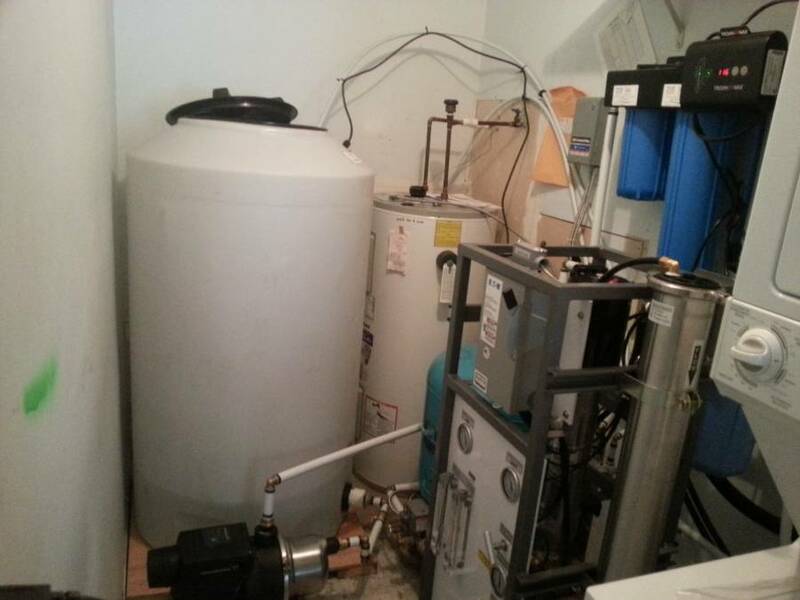 As you can see not much room is required for the equipment.